Power, grace, wisdom, wonder! The Amazon princess and legendary superhero Wonder Woman represents one of America's most popular heroes. 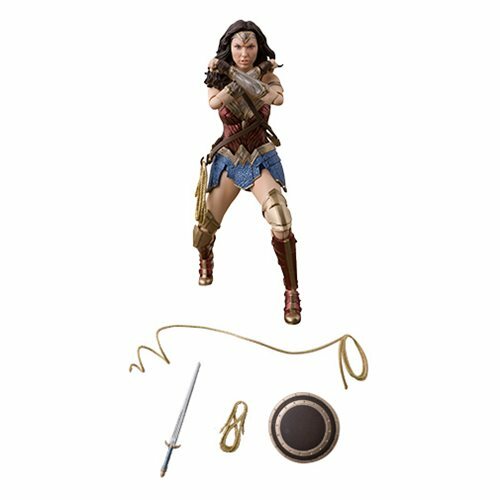 The Justice League Wonder Woman SH Figuarts Action Figure features an outstanding likeliness of Gal Gadot as she appears in the Justice League movie. The figure Includes an optional pair of hands, an optional head. Also includes a set of weapons with sword, shield, and whip. Measures about 5 9/10-inches tall. Ages 15 and up.